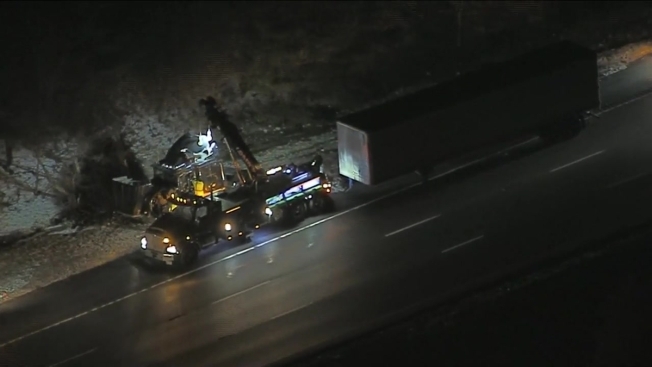 A jackknifed semi-trailer hclosed down one lane on I-495 in Merrimac, Massachusetts. A portion of the trailer was upside down in the woods in the area of Broad Street. The semi-trailer has been towed away and all lanes are back open.